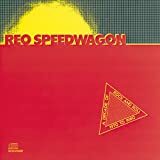 REO Speedwagon's, "Don't Let Him Go"
Kevin Cronin does this with any songs he sings; he pronounces words with a short "e" by adding a long "a'" sound to a one syllible word gives it two syllibles. In this song, Benz as "bay-ends" and ends as "a-ends". I hate it when he does that.